I've been craving for a bowl of pho ever since I moved to the U.K. I live hundreds of miles away from the nearest Vietnamese restaurant. The ones I've been to such as the ever popular Song Que at Shoreditch left me walking away unsatisfied. When my mom mentioned that a friend of hers who incidentally is the wife of a fellow colleague of my younger brother's is Vietnamese and makes a mean bowl of Pho, I jumped at the chance to learn. Linh's life reads like a page from Jung Chang's Wild Swan. During the civil unrest in Vietnam, the 9 year old Linh jumped on the boat, all alone and completely without friends or family and fled the country along with other escapees. They eventually arrived at a refugee camp in Malaysia before managing with much difficulty to procure papers to gain residency in Australia. When I was 9 years old, all I could think of was school, friends and my toys! Despite her hectic schedule, Linh agreed to drop by to teach my mother and I - Pho 101. She can make this dish with her eyes closed. She guesstimates all the relevant ingredients so it's quite difficult to pinpoint exactly how much in grams. 2 slabs of beef briskets - 1 to boil, the other sliced thinly raw. 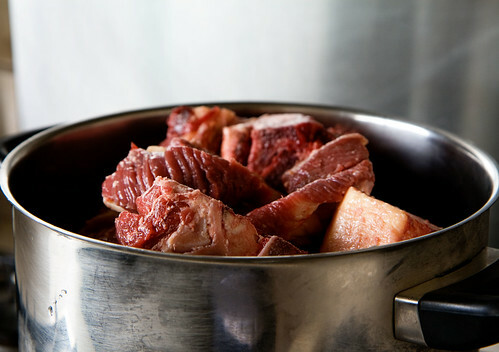 Dump approximately 1.3 kgs of meaty beef bones into a big pot. Pour hot water into the pot and bring it to boil. 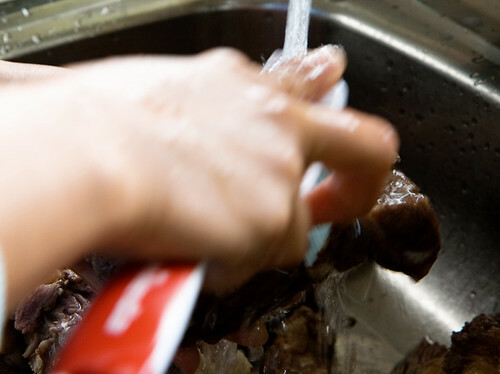 When the water has boiled, toss out the water and dump the beef into a big bowl or sink. 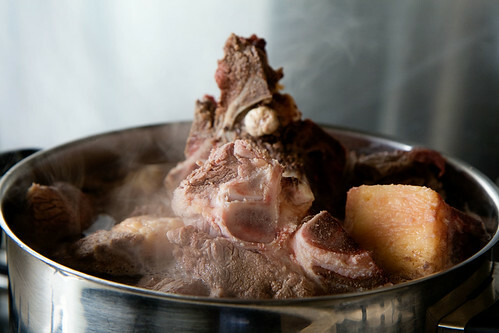 Give the bones a rinse under cold water. Put all the bones back into the pot. Add a slab of beef brisket on top. 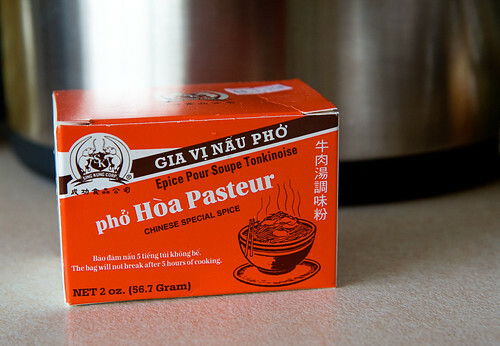 Add a bag of special pho spice. 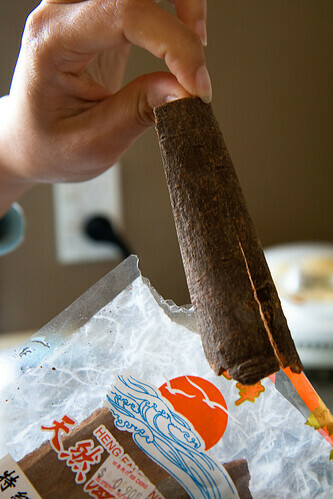 It's available at oriental/asian supermarkets. 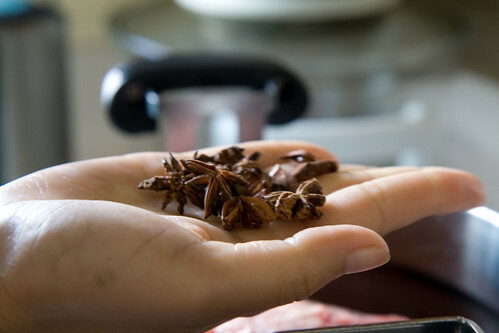 Toss in a handful of star anise. a carrot, an onion and at least 3 thick unpeeled slices of ginger. 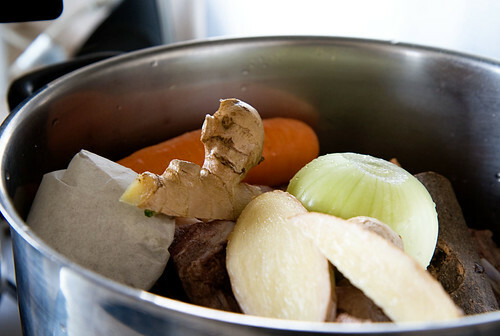 Fill the pot with hot water and boil for at least 4-5 hours but preferably overnight. The longer you boil, the tastier the soup is. From time to time, remove scum and oil from the surface. 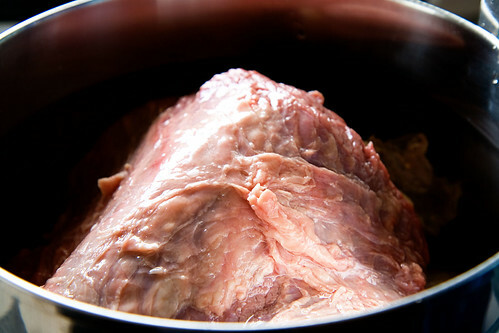 Remove beef brisket once it's cooked. Slice very thinly. Meanwhile, remove the other slab of raw brisket from the fridge and slice thinly. Mix sliced red onion, chopped coriander and spring onion. Cut lemons in wedges. 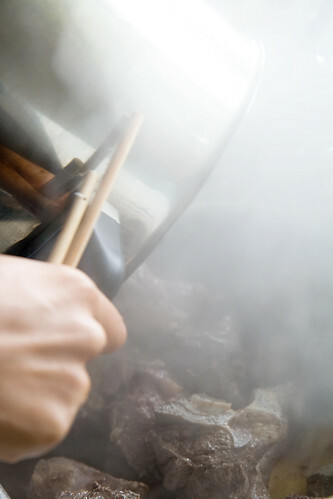 Boil vietnamese rice noodles quickly but make sure it doesn't become too soft. First put the rice noodles in the bowl, followed by a few slices of onion with chopped coriander and spring onions. 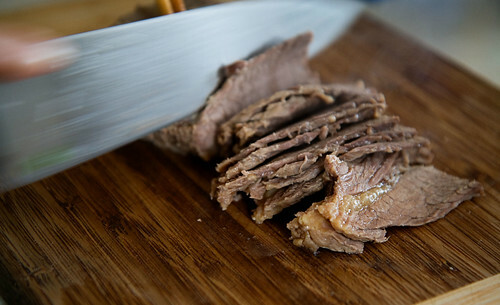 Add a few pieces of cooked brisket as well as raw thinly sliced brisket. 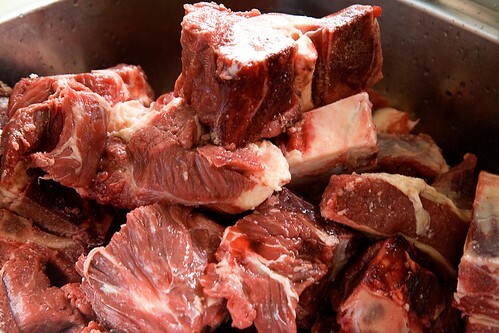 Before pouring the soup into the bowl, ensure that it's boiling hot or else the raw beef slices wouldn't cook. Serve with hoisin sauce and lemon wedges. Likewise, Shayma, I am thrilled to discover yours. I can't wait to try out all the lovely recipes including my all time favorite dish, dal. Thanks a lot for sharing this. 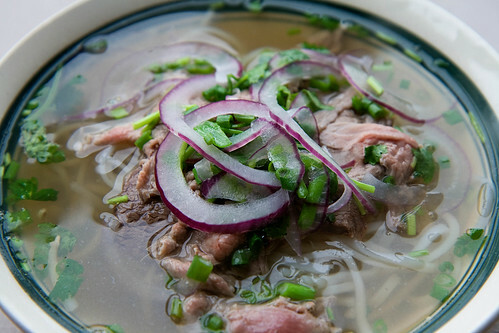 I love pho! Have to try this recipe for sure!